A Moveable Feast plans to be on the road in mid-April, dishing up food created with local, high-quality ingredients. Fans of the Silver Spork will see a familiar truck in Grand Rapids this spring. 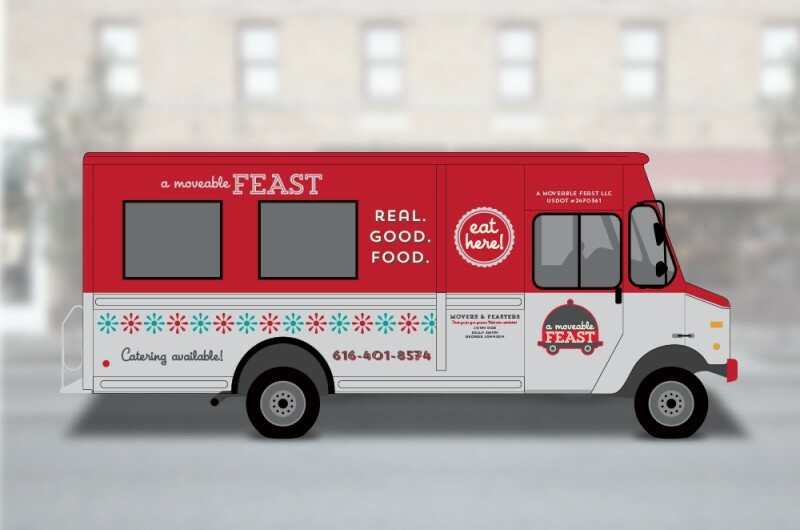 A Moveable Feast, a food truck business "emphasizing locally and responsibly raised ingredients," bought the Silver Spork vehicle and plans to be making mobile meals around the city by the middle of April. "My greatest passion is cooking food for other people," says owner Brennan Summers. 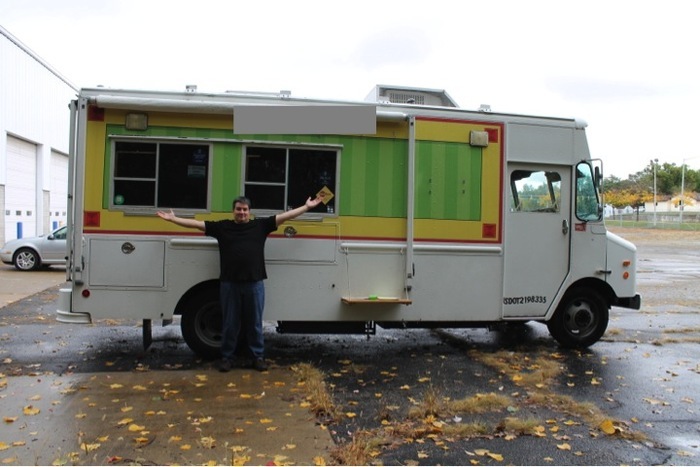 "I've had a dream of owning a food truck for many years. A food truck allows me to interact directly with my customers and allows me to make the food I love to cook." Summers left a corporate hotel job over a year ago to learn the food truck business from friends in Minneapolis, Minnesota, where food trucks are, as Summers describes them, "gourmet restaurants." Summers and his wife, who are Michigan natives, moved to Grand Rapids to incorporate what he learned as the manager of his friends' Minneapolis food truck into the menu of A Moveable Feast, which will offer dishes like Bacon Jam Grilled Cheese and Jamaican Jerk Chicken Wrap sandwiches. Vegetarian options like the Crispy Quinoa Burger will also be available. Much of Summers' menu is sandwiches and wraps, which Summers says makes it distinct from the other local food truck, What the Truck, which specializes in fusion tacos. "I pick up recipes wherever I go and modify them for what I'm looking for," he says. "I'm very much a proponent of using the highest quality ingredients you can get and I'll be doing a lot of sourcing locally,"
Summers has already partnered with West Michigan FarmLink and Grand Rapids Coffee Roasters, and plans to do some sourcing from Creswick Farms. 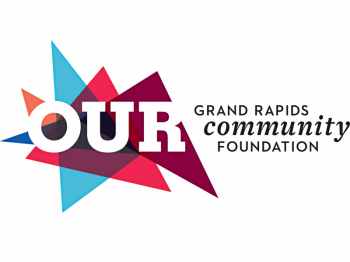 He envisions more local partnerships as A Moveable Feast becomes more of a staple in Grand Rapids. He says that he hopes his truck will provide the city with a taste of Minneapolis' food truck magic. "Any time you get people walking the sidewalks and give them a destination, it makes the area more vibrant," he says. "That's one of the great things about food trucks. If you walk through downtown Minneapolis between 11 in the morning and 1:30 p.m. there are people on the sidewalks all over the place. Food trucks create a great sense of community." Summers says he never had the priviledge to dine at the Silver Spork and isn't planning to pay explicit homage to the previous mobile diner occupant of his truck, but he says that the ideals of Silver Spork owner Molly Clauhs will live on. "One of Molly's big things was 'farm-to-table,'" he says. "I might not go quite that far in describing what I'm doing, but the emphasis on locally sourced products and very high-quality ingredients that was a priority for Molly will be for me too." 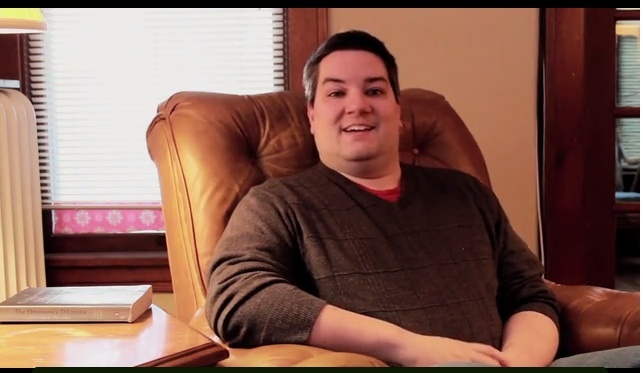 A Moveable Feast completed a Kickstarter fundraiser on March 22nd that raised over $7,000 to cover startup costs. Summers say he plans on having the truck on the road the week after Easter if the weather looks more like spring by then. To learn more about A Moveable Feast, visit the food truck's website or Facebook page.